Disclaimer: This post is sponsored on behalf of #appleweek. Our generous sponsors, Swiss Diamond, Envy Apples, Imperial Sugar, Nordic Ware, Rodelle Vanilla, Flahavan’s Irish Oatmeal, Nairn’s and The Spice House have provided us with products for recipe creation and a giveaway for our readers. As always, all opinions are my own. 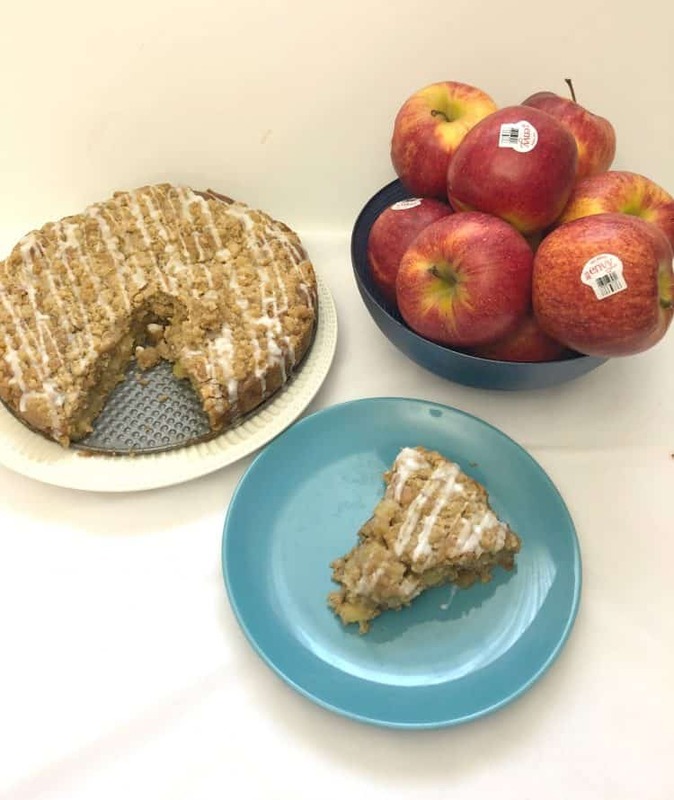 On a crisp fall day is there anything better than a slice of sweet crumb cake studded with delicious apples and a steaming hot cup of coffee? I don’t think so. They said it so well, that really, I’ll just let those statements speak for themselves. Make sure that you look for Envy apples in your local supermarket. Once you try an Envy apple, you’ll never want another apple again. Just sayin! 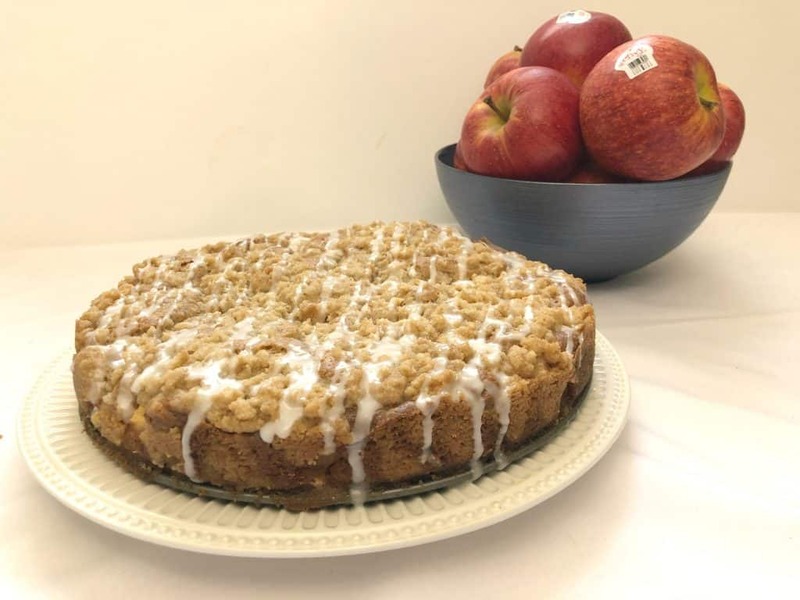 A dense crumb cake studded with apples and covered in a cinnamon sugar streusel. Preheat the oven to 350 degrees. 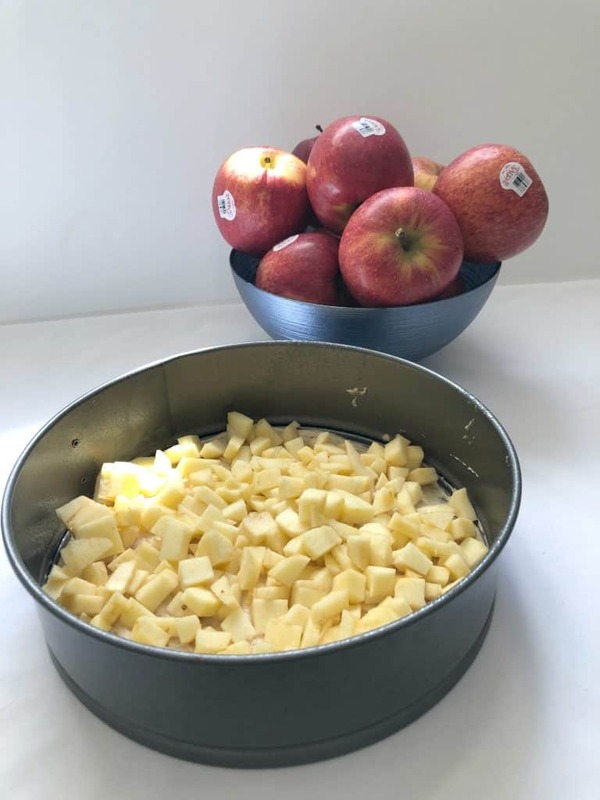 Spray a 9-inch springform pan with cooking spray and place on a baking sheet lined with foil. In the bowl of a stand mixer, add the butter and sugar and mix together on medium speed for 3-4 minutes or until light and fluffy. Add in the egg, yogurt, and vanilla and mix well. Add in the flour mixture. Spread half of the batter into the prepared springform pan. Arrange the apples in a layer on top. Prepare the streusel, by combining the flour, sugar, brown sugar, apple pie spice and salt together in a medium bowl. Add the melted butter and vanilla and mix until it all comes together. Spread half of the streusel topping on top of the apples, then cover with the remaining batter and finally the rest of the streusel topping. Bake for 35-45 minutes or until lightly golden and set in the middle. Allow to cool for 20 minutes before releasing the springform pan. Prepare the glaze by whisking together the powdered sugar and milk until it reaches your desired consistency for drizzling, then drizzle over the cooled cake. Apple Pie Spice can be made using 4 tbsp cinnamon, 1 1/2 tsp nutmeg, 1/2 tsp allspice, 1 tsp ginger and 1 1/2 tsp cardamom. The remainder of the mixture can be stored in your pantry for 6 months to 1 year. OMG this cake is SOOOOO good! 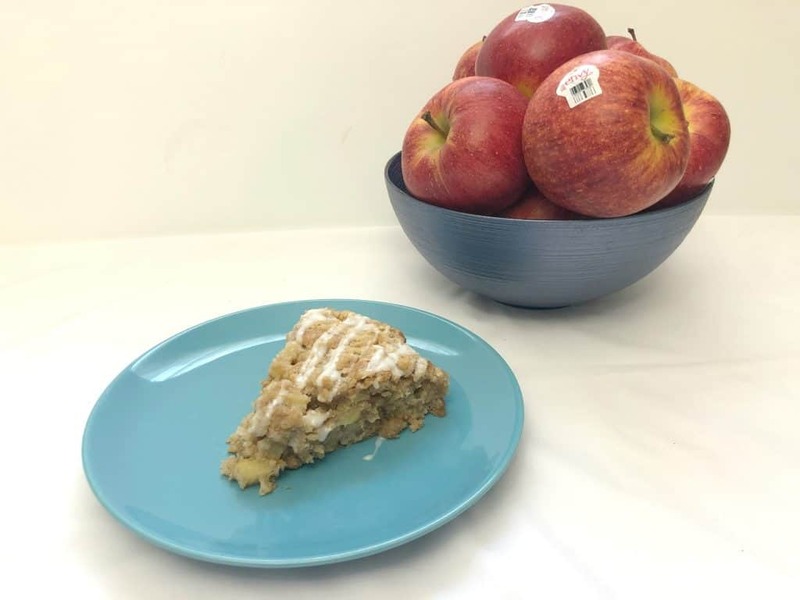 Dense and sweet and full of those great Envy apples, this is perfect for breakfast or brunch if you aren’t feeling it for dessert! I took this into work and it was gone so quickly. Don’t forget the awesome giveaway! Enter below! Apple cakes hold a special place in my heart. 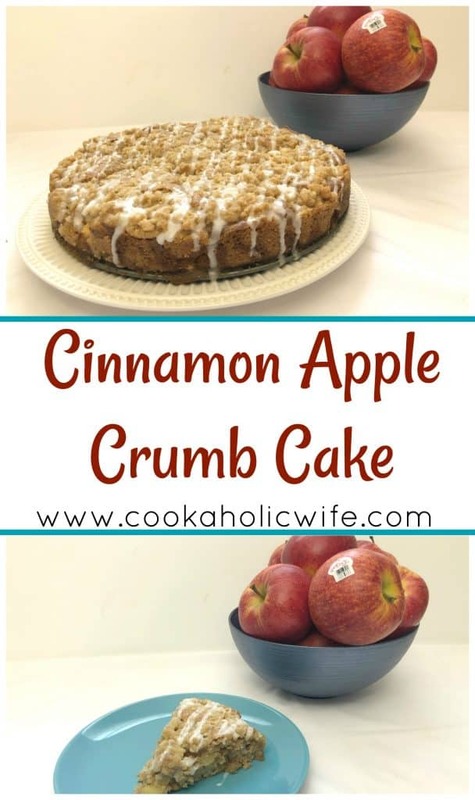 I love a good crumb cake and all things apple. This looks absolutely scrumtious!